Over the past week or so, the subject of Sean Parker's "Screening Room" VOD service has been under intense discussion. With directors coming out of the woodwork for both sides of the argument, it's as if Hollywood has found itself its own hypothetical civil war. In which case, you can count Christopher Nolan as a general on the side against this new endeavor. "It would be hard to express the great importance of exclusive theatrical presentation to our industry more compellingly than Jon Landau and James Cameron did." The Screening Room system works as follows: you purchase a $150 set-top box, which allows you access to current theatrical releases for about $50 a rental. The proposal already has AMC Theaters interested in partnering, but of course for every ally that Sean Parker's product acquires, there are at least two to take them. In the corner for the service are such directors as J.J. Abrams, Steven Spielberg, and Peter Jackson. The opposing side of the argument sees James Cameron and his producing partner Jon Landau on the anti-Screening Room side, with Christopher Nolan making their latest, greatest teammate. 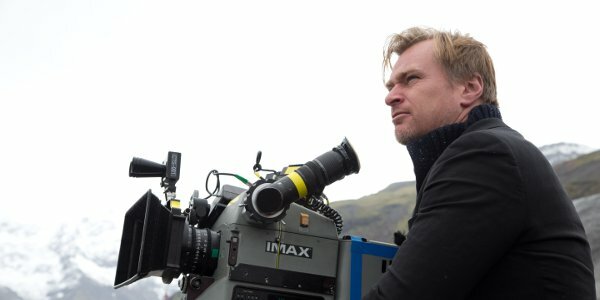 Considering that the films Christopher Nolan makes tend to not only make usage of the IMAX camera / format, as well as traditional film stock in general, it's not surprising to see the director of Interstellar decrying the new system that Sean Parker and Prem Akkaraju are trying to bring to the masses. To bring in a purely digital, day one release of a film with such immense scope and devotion to the physical film media is something that Nolan clearly would stand against, especially when home video already strips part of the magic away itself. This is essentially what Christopher Nolan is agreeing to when he sides with James Cameron and Jon Landau, as their previous remarks state that from a financial and artistic standing, the idea of same day VOD robs film-goers of the theater experience. Of course, much like Peter Jackson before him, there's a chance that Christopher Nolan might change his mind somewhere down the line. We're not saying it's a foregone conclusion, but with home theater systems becoming more and more advanced as time goes on, it shouldn't be too far off until we can enjoy Christopher Nolan's films such as The Dark Knight Trilogy on our own rig that rivals the local IMAX theater. As the battle lines are drawn ever finer, the internal clash that's arisen over Screening Room has indeed made the product a name to remember. Whether that will be a glorious or infamous memory has yet to be seen, though if you talked to Christopher Nolan, he'd undoubtedly select the latter option. In the meantime, you can still enjoy your movies the old fashioned way, with Nolan's next picture, Dunkirk, opening on July 21st, 2017.